Conservative chairman Brandon Lewis calls for Boris Johnson to apologise for making insulting remarks towards Muslim women. His comments were also criticised by Foreign Office minister Alistair Burt on Tuesday. The Muslim Council of Britain has renewed calls for an inquiry into Islamophobia within the Conservative party. LONDON – Boris Johnson has refused to apologise for comparing Muslim women who wear burqas to “letter boxes” and bank robbers. Brandon Lewis said on Tuesday that he had asked Johnson to apologise for his remarks, which saw the former Foreign Secretary branded a “pound-shop Donald Trump”. A source close to Johnson insisted on Tuesday that he would not apologise. “It’s ridiculous these views are being attacked – we mustn’t fall into the trap of shutting down the debate on difficult issues,” the person told the Press Association. “We have to call it out. If we fail to speak up for liberal values then we’re simply yielding ground to reactionaries & extremists,” they added. He added that any female student who appeared at school or in a lecture “looking like a bank robber” should be asked to remove it, but stopped short of calling for a full ban. 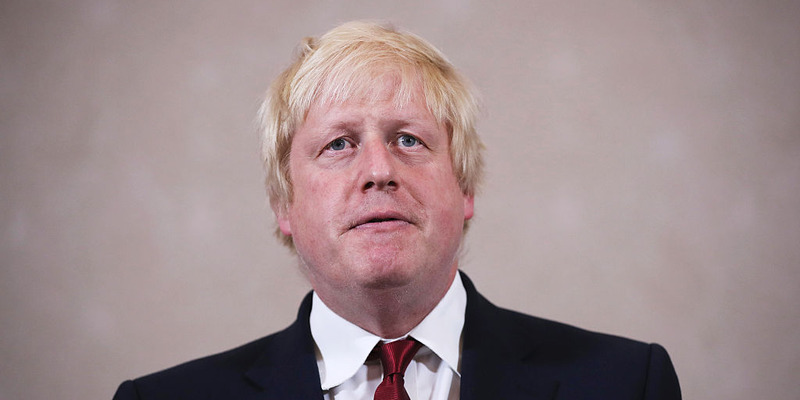 Johnson’s comments were widely interpreted as a pitch to the Tory grassroots with a view to a potential leadership bid, and have caused widespread outrage. The Muslim Council of Britain, the national representative body for British Muslims, said in response to Lewis’s demand that the Conservatives should instigate an independent inquiry into alleged Islamophobia in the Conservative Party. “It is now widely acknowledged that the Conservative Party has a poor relationship with Britain’s Muslim communities,” said a statement from the group. Naz Shah, Labour’s shadow equalities minister, also said an apology “isn’t good enough” and called for an inquiry. “Clearly the Tory party has an issue with Islamophobia, but over 24 hours later the Prime Minister is still yet to say a word,” she said. The call for an inquiry into Islamophobia within the party was first made by Tory grandee Baroness Warsi in an interview with Business Insider in June, who suggested the Tory leadership was ignoring the problem. “It’s very widespread [in the Conservative party],” she told Business Insider. “It exists right from the grassroots, all the way up to the top,” she said.